Toddlers and preschoolers love day trips — and so does this mom! I’ve found some sneaky tricks and tips to help us all have stress-free day trips! And thanks to Subway for sponsoring this post about day trips! When little kids are involved with day trips, you absolutely have to plan ahead! Day trips are super-fun for any season of the year. I grab all my day trip ideas from this post. It’s full of fun, creative ideas that are super simple! But you can’t just have only fun day trip excursions planned, you have to know exactly how to get those fun trips planned without bundles of meltdowns and tantrums. A truly memorable day trip is one that’s stress-free — for kids and parents! And guess what? Day trips can actually be so much fun that you’ll be looking for any excuse to scoot out the door with your toddler or preschooler! Let’s dig into my secrets to stress-free day trips! Never get hungry! People get super cranky when they’re hungry — especially toddlers and preschoolers. It’s super important to never get hungry on day trips to keep everyone relaxed, happy and smiling. How do I do that? I plan ahead. Our entire family loves Subway. We grab the drinks, chips, subs and even a cookie or two. And I’m super excited about the new Italian Hero! Just ask my husband. 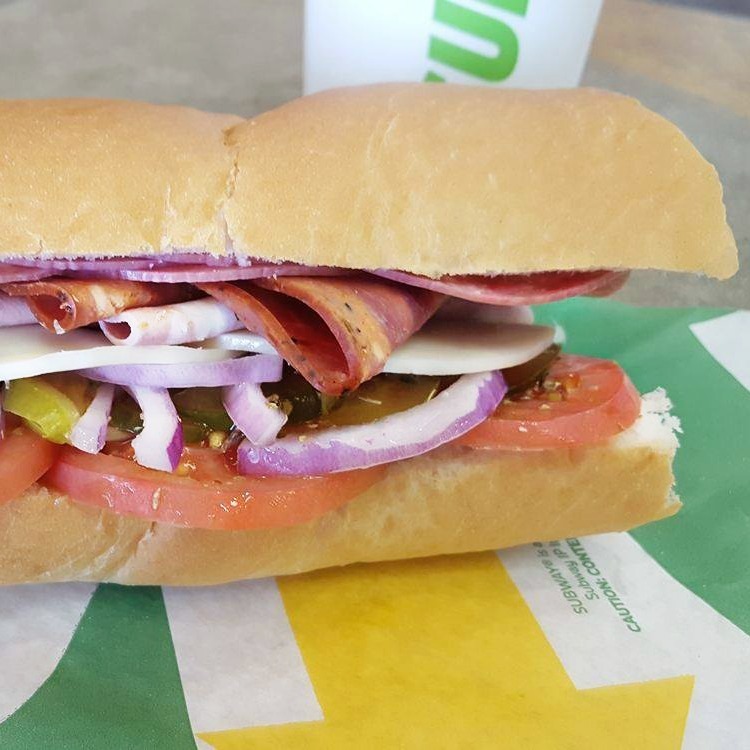 I always ask for an Italian sub and top it with Parmesan, olive oil and my favorite — black olives. And this month? 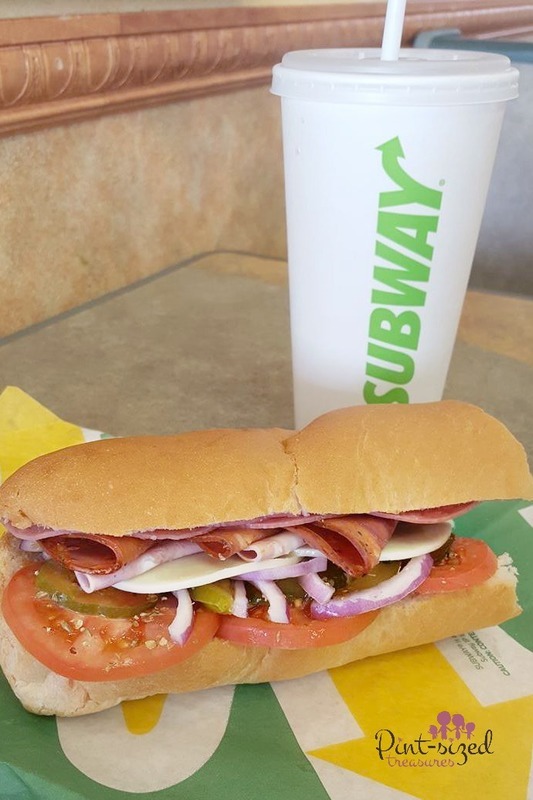 Subway is featuring a new Italian sub! This mom’s day trips with the kids just got yummier! Mmm-hmmm…this new sub features super authentic touches. You’ll find a well-loved Italian fave — Capicola — included in this sub. What’s Capicola? It’s cured pork, hand-trimmed, smoked, slow roasted and finally seasoned with traditional Italian spices, black pepper & paprika. Sound yummy yet? Then there’s Mortodela, Genoa Salami, Provolone, Mediterranean Oregano, Oil and vinegar and of course whatever additional toppings a busy mom wants! And from an honest mom’s opinion on the sandwich, the meat tasted really fresh and the sub looked beautiful when they finally got it all together. They know how to build this sandwhich,so I let them do their thing and go with the standard build. This sub definitely has a double dose of authenticity to it. 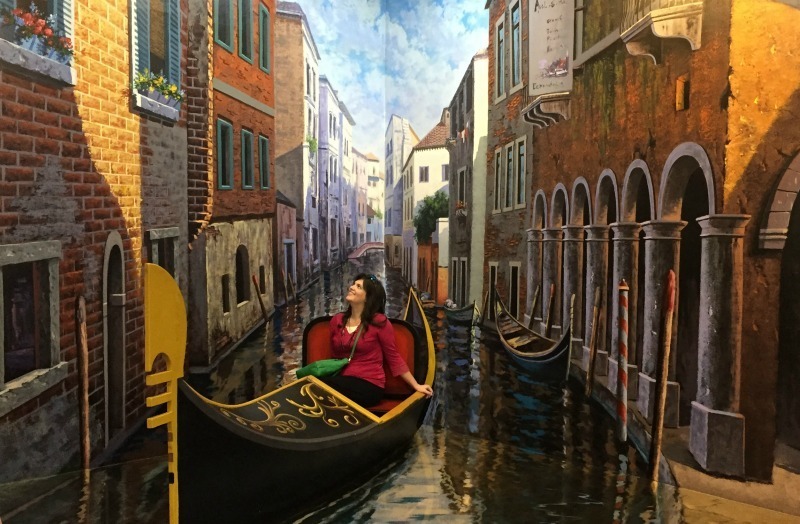 If I close my eyes on my day trip with my toddlers, I can imagine I’m in Venice, enjoying the gorgeous scenery with my fave Italian Hero sub. A mom can dream, right? Avoid day trips during nap time. I’ll get up early, wake my kids and have us all ready to leave the house first thing in the morning. This gives us ample amount of time to return home for those much-needed daytime naps! If we miss or skip a nap, our day trip will not be stress-free! A sleepy toddler or preschooler is always a recipe for disaster! Can I get a witness? Plan the night before. I pack our day trip bag, drinks and snacks the night before. I also try to do my morning cleaning routine the night before so we can just get up and head out the door! When we wake up there are no dirty dishes in the sink or garbage to take to the curb. We grab our gear for our day trip and go! Pack surprises. I try to pack some new coloring books and a few super-cheap new toys to keep the kids occupied during the car ride to our destination. Packing surprises also helps toddlers and preschoolers stay calm if we there’s a line or long wait on the day trip excursion. Plus, surprises always make toddlers or preschoolers smile! Sit down for lunch. Choose a place that’s kid-friendly for lunch. Our first choice? Subway. As much as our family travels, we know how important it is to get out of the car, sit down and relax when you grab lunch. Your toddlers and preschoolers will appreciate you letting them enjoy lunch outside of the car. It sure beats having food and crumbs in your car too! 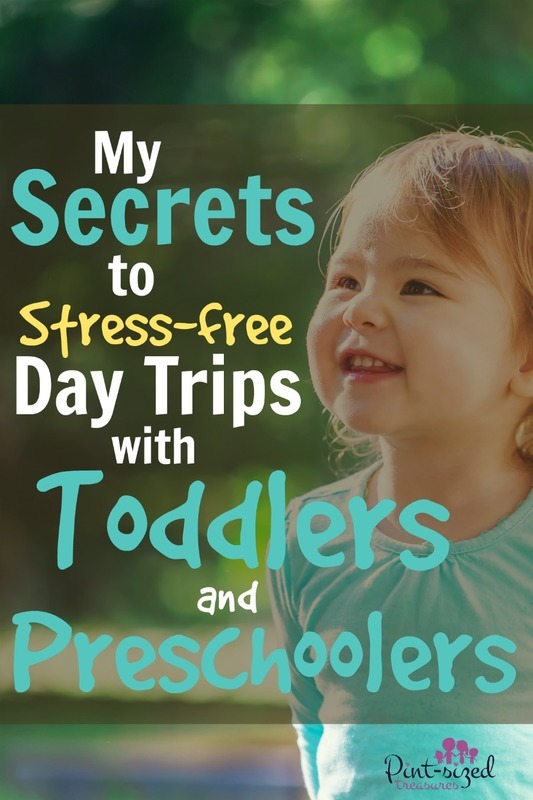 Whether you’re out picking strawberries or spending the day at the beach, these tips will help your day trips with toddlers and preschoolers be stress-free! Want to watch the Subway Hero Sub in video action? Check out this video that features the Sandwich King, Jeff Mauro.